One of the main reasons Android is the leading smartphone OS is because companies have implemented it on lower end devices to give a share of goodness to everyone. However, often times this Android experience is hampered by heavy skins and other modifications, also most times the lower end devices do not get updated to the latest software, leaving them back dated. Back at Google I/O, the tech giant addressed this with Android One and soon, it will be coming to Bangladesh. The Android One program essentially sets guidelines for manufacturers so as to make the best possible use out of the lower end hardware. The most striking aspect of this program is the fact that Google itself will push out software updates to the devices, similar to its Nexus products. At an event in India where Android One kicked off, Google unveiled three entry level smartphone by Spice, Micromax and Karbonn, all with the same specifications but slightly different designs. The new handsets start at 6299 Indian rupees which is around $103. The price is extremely attractive and the specifications are good for an entry level device. What really gets us excited is the potential increase in Android users spurred by good entry level hardware and software. The smartphone market in Bangladesh is very competitive and the addition of Android One devices will only work to boost competition which for us consumers, is a huge plus. The Indian subcontinent is one of the biggest smartphone markets that remains largely untapped, if Google can do things right with Android One then it will certainly expand upon its smartphone dominance. 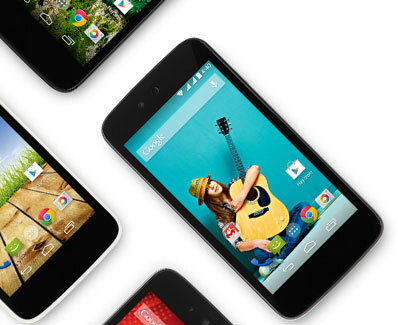 Other countries in line for Android One devices are Indonesia, Nepal, Pakistan, Philippines and Sri-Lanka.